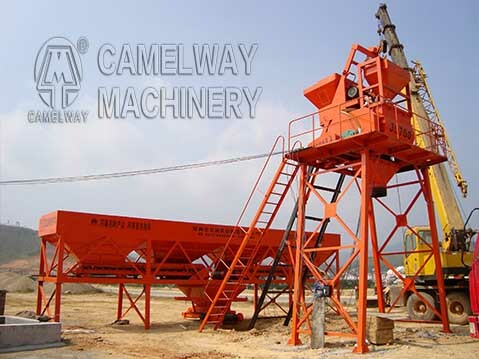 How about the price of mini concrete batching plant? When people choose the concrete batching plant, they usually ask this question. But different concrete batching plant has different price because of the differences in the quality of equipment. Mini mobile concrete batching plant is similar with other concrete mixing plant. It is also a combination of batching station, belt conveyor, silo, screw conveyor, concrete mixer, weighing system, water and air supply system, control system and so on. This plant is suitable for small and medium-sized construction sites. And the machine can mix kinds of concrete and mortar. So the price of mini concrete batching plant is related to the quality and dimension of equipment. We are a professional exporter of mini concrete batching plant. This is a new type concrete batching plant, which is much smaller size concrete batch plant. Besides, due to its small body, the whole plant covers small space, which can reduce users’ cost. As one of mini cement plant manufacturers, our target is to supply high-quality mini cement plant project to clients all around the world.